Before this year, I’d never actually had the chance to shop at a Queen Bee Market, but every time friends of mine would go, they’d always come back full of stories about all of the beautiful things for sale, and their purchases were just further evidence of the lovely and unique items to be found there. So, this year, when Molly told us we would have the opportunity to get to participate as a vendor, I was very excited, and my experience there didn’t disappoint! It was such a privilege to get to be among so many creative and talented people – and everyone we met was so sweet and encouraging, too! 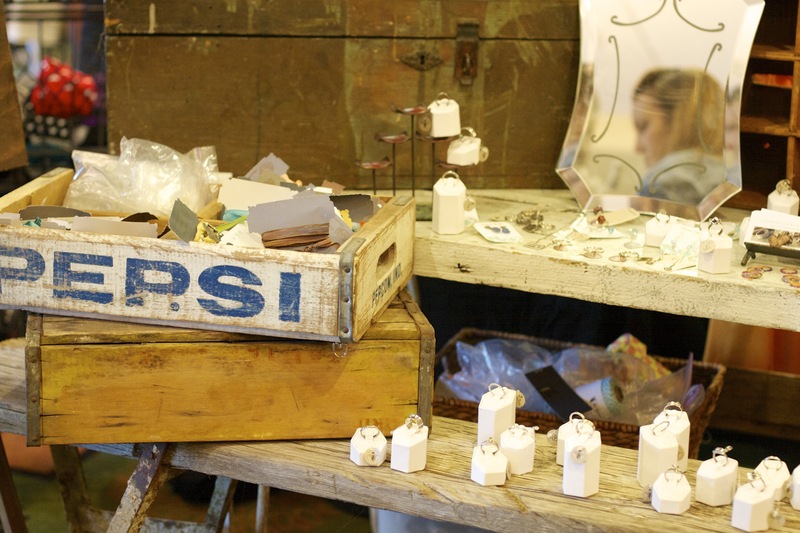 I loved so many booths and so many items that people had for sale, but there were definitely a few things that stood out to me. 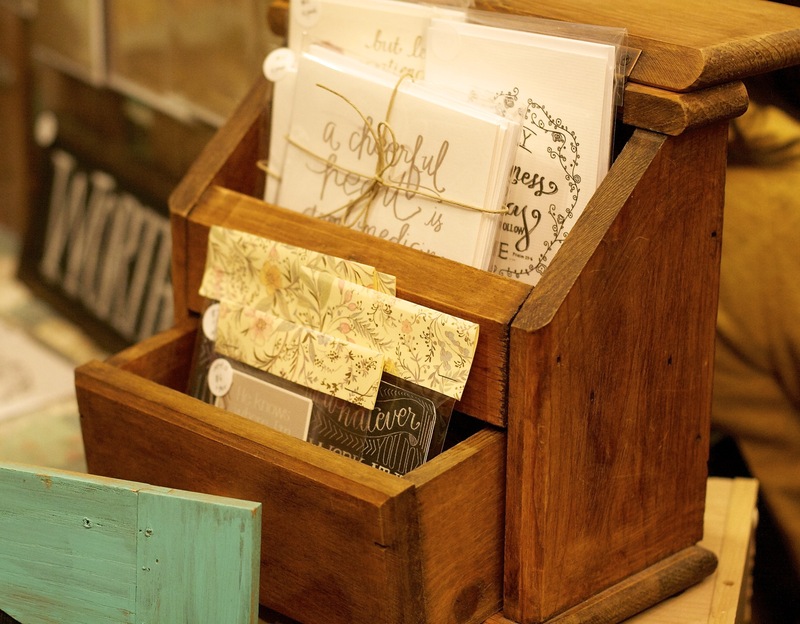 First of all, I just love home décor that incorporates rustic, shabby chic, or country elements, so I especially loved all the use of rustic wood signs and boxes I saw scattered throughout the market. 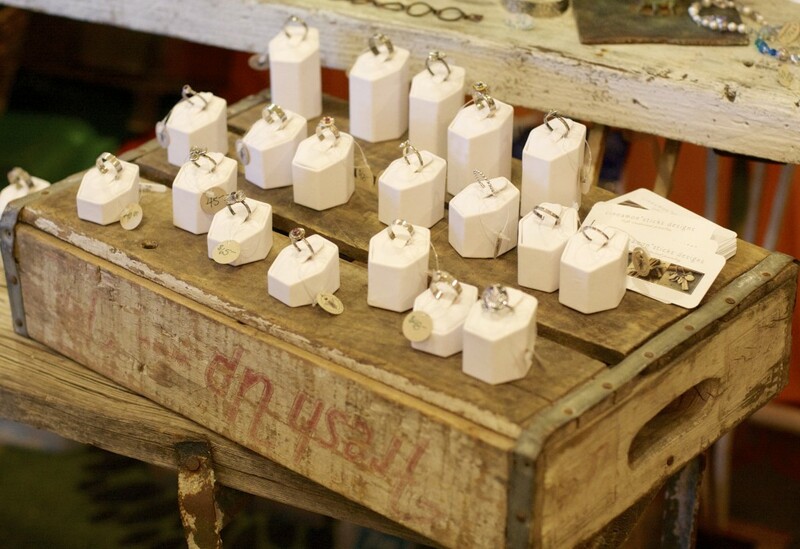 I thought Cinnamon Sticks Designs made especially good use of old wooden boxes and planks to highlight her adorable jewelry. 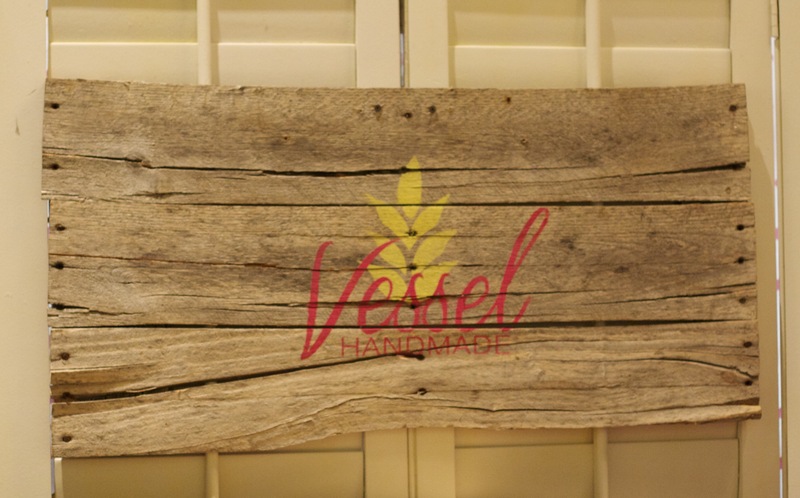 I also loved the adorable “Vessel Handmade” booth with her reclaimed wood sign! And, of course, “Grace for Grace”, which won best booth design, had a charming mix of vintage boxes and wooden fencing to show of her beautiful artwork and stationary! 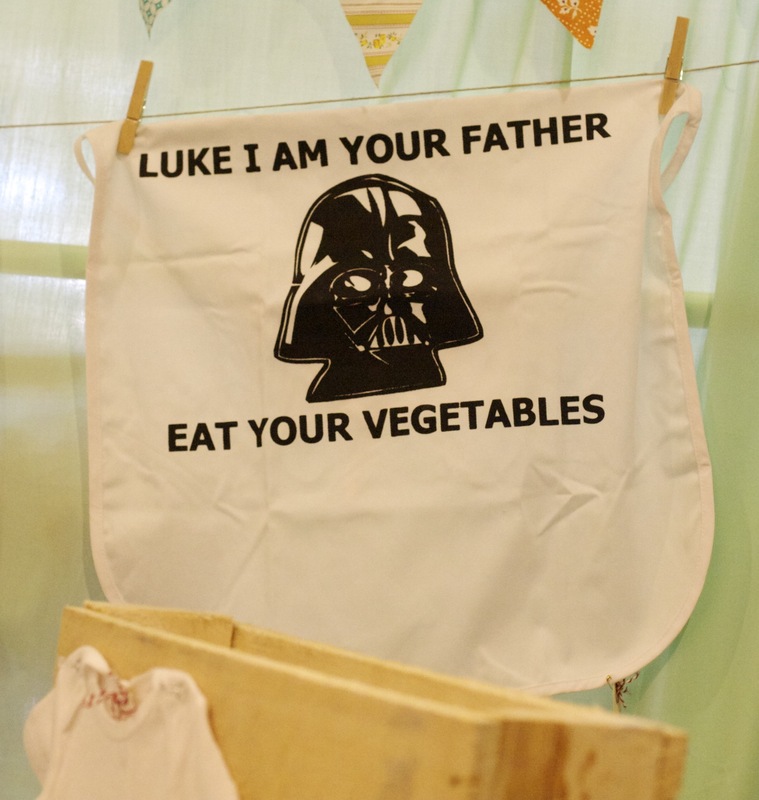 I also loved the geeky themed pillows and aprons at “Saturday Morning Pancakes”! Having spent almost 14 years working in the video game industry, I still have a soft spot for anything geeky! Lol! My husband is also geeky (and still makes video games! ), so it was fun to come home and tell him about them, too! 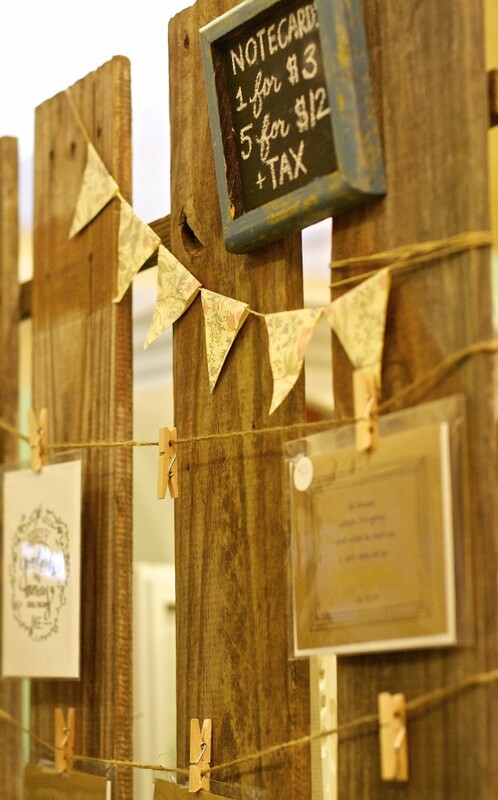 So, if you’ve never been to a Queen Bee Market, I highly recommend it! In fact, this weekend is the last Queen Bee for 2012 and it will be held in Carlsbad, California. 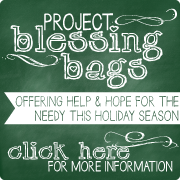 The market will be open both Friday and Saturday, November 16th and 17th, so there is extra time to shop! Check out the Queen Bee website HERE for all the details, including info on the Girls Night Out Craft Night TODAY.